At the One Planet webinar ‘Sustainable Business Models on Circularity in the Built Environment’ the BAMB partners – Nitesh Magdani (BAM) and Ke Wang VITO) contributed. 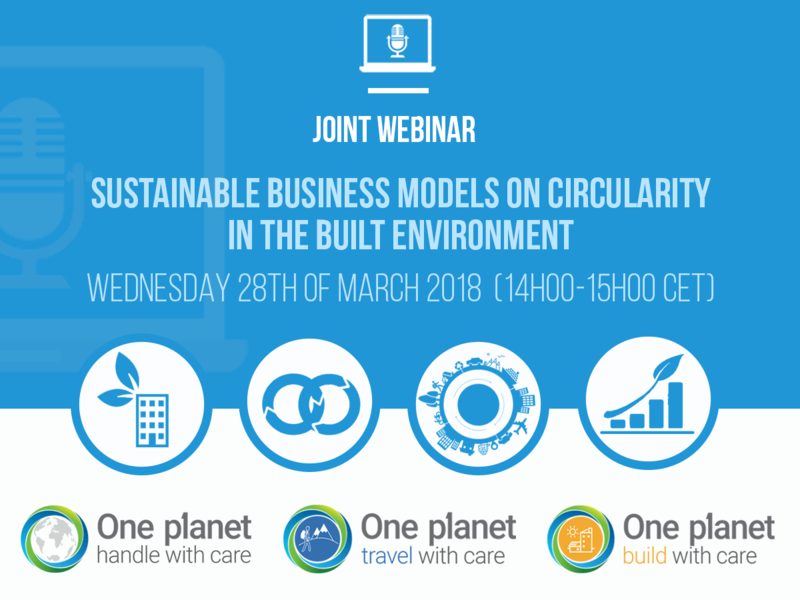 The webinar is the result of collaboration between two programmes of the One Planet Network: Sustainable Building & Construction and Sustainable Tourism. This collaboration pools knowledge of sustainability experts to further reflect on the application of circular economy principles on the ground. The construction sector is the largest consumer of resources including raw materials. Therefore, embracing long-term design thinking, technology and innovation and adopting new production and consumption models and collaboration throughout the supply chain of construction can lead to sustainable business models which create further financial, social and environmental benefits. The tourism sector is growing exponentially and also responsible for decoupling its growth from environmental degradation. Given the extensive supply chain of the sector and its connection with the built environment, whether in the form of infrastructure, accommodation or other facilities, integrating approaches for more sustainable construction in tourism can result in enhanced competitiveness, environmental benefits and overall destination image. • Explore examples of profitable business cases of circular construction and management of buildings within the tourism industry. The event also explained how interested experts can join the ongoing activities in this field through One Planet Network Programmes Sustainable Buildings and Construction and Sustainable Tourism, as well as the Horizon 2020 Project Buildings as Material Banks.